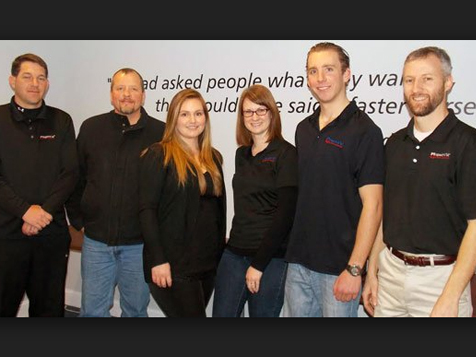 What does an Inspect-It 1st Franchise Cost? 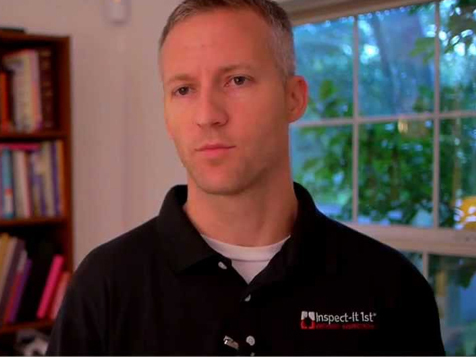 Across the country, buyers, sellers, realtors, investors and others are choosing to "Inspect-It 1st®" when they want the best property inspection service. Our industry leading inspection report, cutting edge infrared technology and exceptional client care differentiate Inspect-It 1st® franchisees from the competition and establish them as local market leaders. Open Inspect-It 1st in any of these available states: AL, AR, CA, CO, DE, FL, GA, ID, IL, IN, IA, KS, KY, LA, MD, MI, MN, MS, MO, NE, NH, OH, OK, PA, TN, UT, VT, VA, WV, WI, WY, DC. "Excellent customer service. Responsive and highly informative. By far, the best inspection service I've ever used...and this was my 5th home purchase!" "Would not go with a different inspection company." If you want reviews like these, then you want to be part of Inspect-It 1st®. Largest territories in the industry. Infrared camera INCLUDED in your launch package. Adding infrared increases your inspections volume and price per inspection. Our proprietary, industry leading inspection report software positions you as a premium company. Web-based scheduling, marketing and business analytics software. Our ACE® Marketing Program will launch your business fast. Professionally designed, customizable website for your location. Aggressive and progressive marketing tools such as enewsletters, videos and realtor webinars to generate relationships and leads. Regular radio features, whitepapers and videos position you as a credible and authoritative leader. Strong search engine optimization and online social programs. A starting database of realtor contacts and a launch marketing campaign. Monthly franchisee conference calls and franchisee committees. Online knowledge-bases and phone support for inspection questions. A flexible model: can be run as an owner-operator or with staff. The caliber of our training, coaching and marketing resources will have even the first-time business owner with no previous experience confidently introducing the Inspect-It 1st brand to their market. As part of Merrymeeting Group (MMG), an international leader in franchising, we know how to support our franchise partners. We're looking for self-motivated, hard working entrepreneurs with strong communication skills to join our team! WE ARE NOW ACCEPTING INQUIRIES FROM CANDIDATES WHO INTEND TO SELECT AND START A BUSINESS VENTURE WITHIN THE NEXT 3 TO 6 MONTHS! Our typical candidate Discovery Process takes approximately 6 weeks to complete. If you are not yet ready to commit to our Discovery Process, please consider us again in the future when the time is right. Laptop and proprietary software provided at no additional cost. Our ACE® Marketing Program gives you a jump start! Strong branding with broad based appeal (Before You Buy or Sell, Inspect-It 1st!). 6 Operations Manuals, online knowledge-bases and phone support for inspection questions. Regular business reviews and an annual franchisee conference. Low initial investment, no inventory and no receivables! Our Opportunity Consultants stand ready to guide you through our thorough review process and determine if your qualities, attributes and ambitions match those of successful franchise owners currently in our system. We are actively seeking both unit franchise owners and Regional Directors across the U.S., excluding the following states: Alaska, Hawaii, Rhode Island, North Dakota, South Dakota.